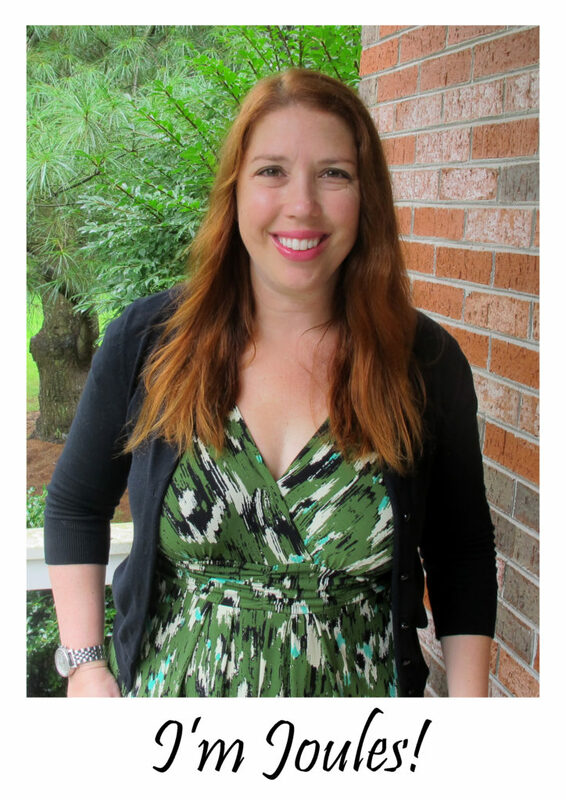 I was originally going to do this blog post as more of a before-after kinda of thing, but I decided to take you all through the thought process with me. 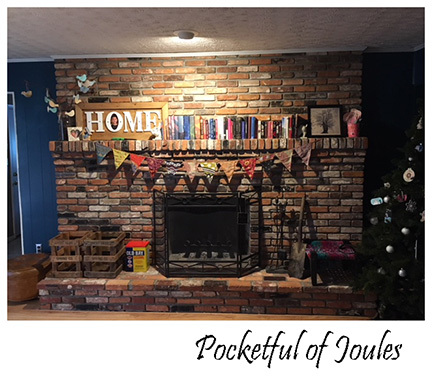 While I’ve done little bits of redecorating here and there, there haven’t really been any big changes in our house for a while. Part of the reason is that we have only been here 7 years and the other part is… money. I like nice things and no matter how many times I go to pull the trigger on buying items like a new kitchen table and chairs, I just CAN’T spend thousands of dollars on a dining set when Jack is probably going to dent it with Legos. 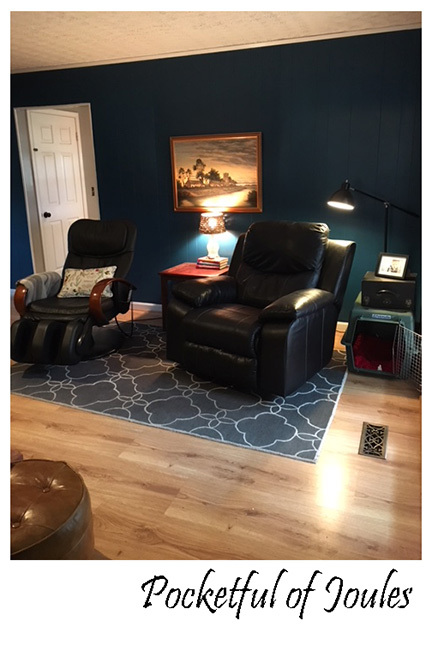 So, I decided to start with my favorite room in the house… our den. If you follow me in Instagram, I post lots of lazy weekend morning photos from the recliner in my den. It is my favorite place to sit in the morning with my travel mug of coffee in my hand and Ollie on my lap. When the weather is cold, my husband likes to build a fire in the fireplace… which makes it even more relaxing. 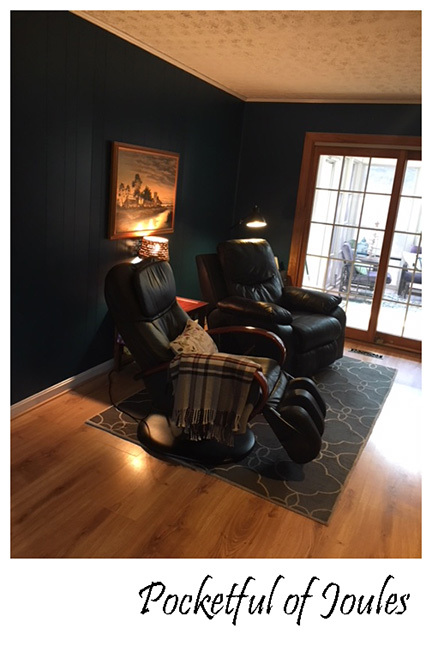 My parents recently handed us down a fantastic massage chair, so that recently got added to the mix. And yes, I still have a Christmas tree up in February. 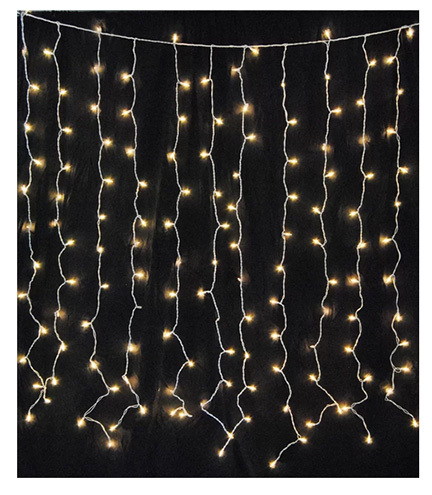 It’s coming down soon (probably this weekend), but I left it up because when I’m relaxing in my comfy chair, I enjoy the twinkling lights. The one view I won’t change is the fireplace. I love every single thing about it. Problem #1: The rug is too small and no longer my style. The current rug is a 5×7 and it is too small for the area. Also, I no longer enjoy the graphic design of it and it feels rather dated to me. I want something more classic/traditional but every time I look at options I get sticker shock. Problem #2: Too much random junk. Ollie’s crate (which he never uses), the accordion box (yes, there is an accordion in there), a photo perched on top, a half-dozen games piled up on the table shelf. All this has to go. The table and lamps are staying, but all the junk is getting redistributed. Problem #3: The tree nook. That little indent in the wall is super weird. Over the years I’ve thought about turning it into a bookcase, adding a desk for a little work area for my husband, building in a bench, etc. The problem is, that I love that area for our Christmas tree… so whatever I do can’t be permanent. Right now there is a beach photo I took years ago, a large chalkboard and a hand-me-down mirror just sitting there. This was not a conscious design choice; it’s just crap that accumulated. Susan Blue Area Rug (find it here) I ordered the 6 x 9 version of this rug, which will hopefully be a much better size for the space. 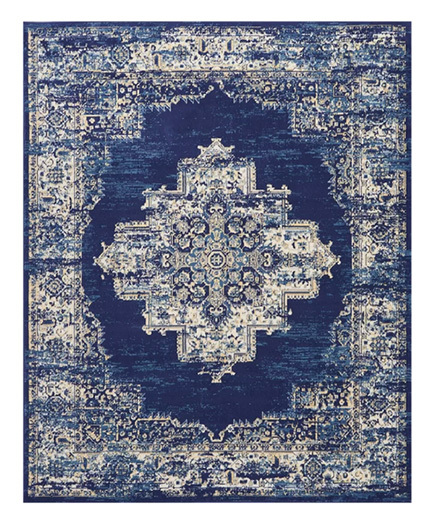 The original price for the rug was $229 and it is currently on sale for $83.99. 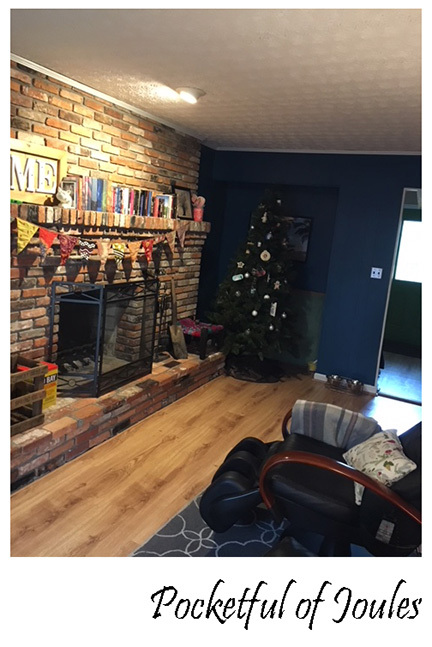 I am aware that it is VERY blue and I already have a lot of blue going on… but I think that this might be perfect once I layer it in with the existing furniture. 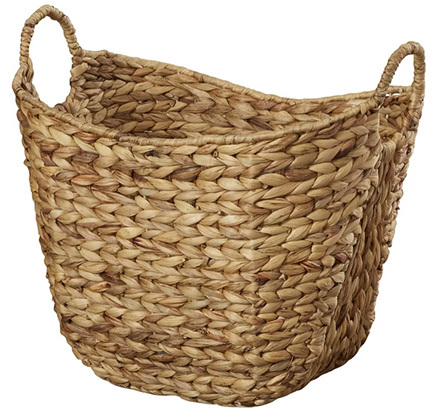 Tall Water Hyacinth Wicker Basket with Handles (find it here) Original price was $59.99, currently on sale for $38.99. Along with adding the string lights to the nook, I’m thinking I’ll put this woven basket in there and throw in some snuggly blankets. It seems like a very Joanna Gaines thing to do. 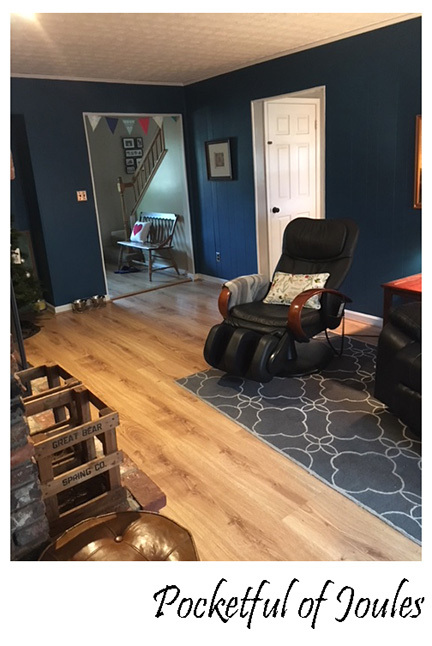 I spent a total of $150 on my three purchases from Wayfair. I also have a few random things that I’ll be bringing in from other areas of my house. Lastly, I’ll be removing some of the stuff junking up the area. I’m hoping with this little refresh; it makes my favorite room even more special for us! Disclaimer: This post contains ShopStyle affiliate links. This means that clicking on a link may help me earn a small commission at no cost to you. I have my tree up, still, for the same reason! I think this weekend it will come down. So sad. I love that rug. What a good price. You have a very pretty room. As a fellow parent of small children and dog owner, I heartily recommend RugsUSA for affordable and durable rugs. We’ve bought many a rug through them. If your style changes or stains happen, you won’t feel too badly just replacing it.